A simple way to keep track of your own volunteering story. Whether you're just starting out or a seasoned volunteer, you can save your volunteering preferences and capture your volunteering experiences in your Volunteer Profile. Discover more opportunities with the organisations and causes you love - all for free! Tell us which causes and organisations you support and the activities you enjoy doing and we'll recommend the ones we think you'll love. You can even have new opportunities emailed directly to you! 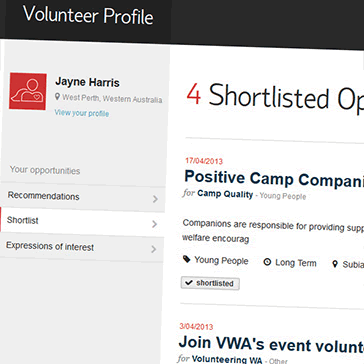 Shortlist volunteering opportunities that catch your eye so you can consider expressing an interest in them later. Spend more time volunteering and less time filling in forms. 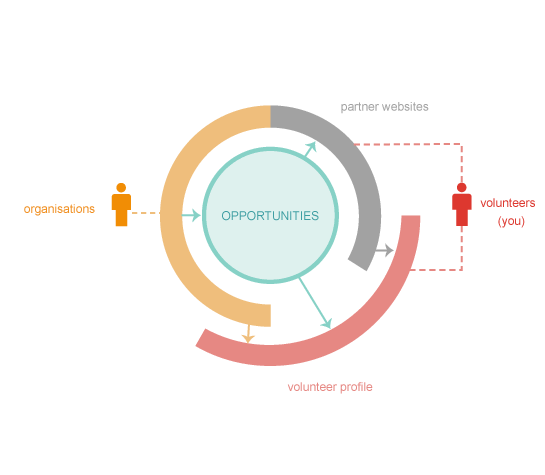 Use your Volunteer Profile to save time expressing interest in opportunities on SEEK Volunteer, GoVolunteer or on any partner website. Follow and connect with the organisations you love and keep up-to-date with opportunities and events they post. Make it easy for people to learn about your volunteering achievements and your dedication to doing your bit to make our communities a happier place for all. Australia is leaping ahead in the volunteering world. We've centralised thousands of opportunities from Australian organisations to make it easy for volunteers like you to find the perfect volunteering opportunity. Whether you are on SEEK Volunteer, GoVolunteer or any of our partner websites, finding a volunteer opportunity that suits your interests and location is simple! Whether you want to volunteer to give back to the community, develop new skills or meet new people, it's your journey. And now you can capture your volunteering experience, skills and interests as well as keep track of opportunities, events and causes that interest you, all in one place – your Volunteer Profile.